Q is for Quote and an image. with a quote and an image. We have two sponsores for the Q challenge. 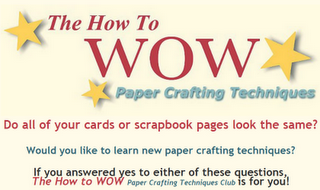 to the "How to WOW paper crafting techniques club"
Robyn's Fetish is giving 5 digi images to a lucky winner. My card is quite simple this time. masked it together with a song text from Stempelglede. The tekst is "Stille Nacht, heilige Nacht"
on Norweigan. I love this song! A close up on the little boys, singing out loud. I have added gold glitter on the dresses. The metal foil and the stars are giving a glittery look. I found the wonderful golden ribbon at the grocery store! Here you can see the whole tekst. A simple back side as well. Hvor smukt - og hvor julet. FED sløjfe, og så fin en ide med at kombinere tekst og stempel. Her øser det ned og alt sopper udenfor ! Such a great card. Thanks for joining us this week at Christmas Card Challenges. This is gorgeous! I love how you've masked the Carollers over the text - beautiful! Thanks for joining us at the Secret Crafter Challenge! Dorte, this is stunning. I love the image and how you have masked it with the sentiment. what an utterly ♥BEAUTIFUL♥ christmas card! i love the way you've paired that sweet image with the words of silent night! every detail is totally lovely! wow! Fantastic card, Dorte! I love how you kept the design simple so you focus on the fabulous image!! And great take on the challenge theme!! Love that sweet little image & big bold bow ... so glad you joined our jingle belles fun. What a perfect card from front all the way to back (by the way, that's a SIMPLE back to your card? My cards hide in shame now, ha ha). I love the choir especially and the gilded touches you added - this has a warm, delightful feeling to it! Fabulous card Dorte! I love the colours and that beautiful ribbon! The image is precious!